Love the action. The end was intense and awesome. All hail Rand Al'Thor, King of the World. What did you love best about For a New Liberty? It opened up my eyes to some key issues in America today. I had never considered taxation in the way Murray Rothbard describes it. He explains how certain government policies violate our freedoms and why. He is very convincing at times. Sometimes he is not, like when he discusses the court system and how it could be done away with (I disagree with him on this point), but this book really causes you to think about some of the things you believe. 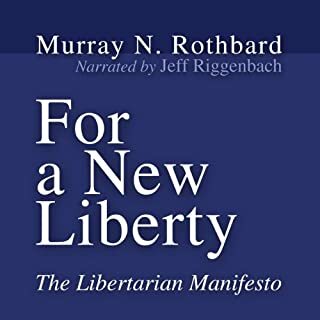 I started reading this book as a Tea Party conservative, and now am more libertarian because of it. If you could give For a New Liberty a new subtitle, what would it be? I disagreed with his viewpoint on Abortion, I agree with his proteges, Ron Paul and Judge Napolitano, that life begins at conception and that an unborn child has rights that are protected by the 14th amendment. America, in so many ways, has forgotten: Its roots, its purpose, its identity - all have become shrouded behind a veil of political correctness bent on twisting the nation’s founding, and its founders, to fit within a misshapen modern mold. The time has come to remember again. 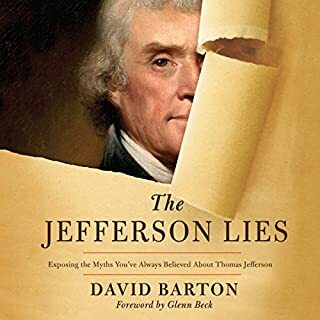 In The Jefferson Lies, prominent historian David Barton sets out to correct the distorted image of once-beloved founding father Thomas Jefferson. What made the experience of listening to The Jefferson Lies the most enjoyable? I liked how he quoted from the source documents. He seemed to understand what modern historians are doing wrong. He even recommended certain authors, I have rarely seen that. Which character – as performed by Bill DeWees – was your favorite? 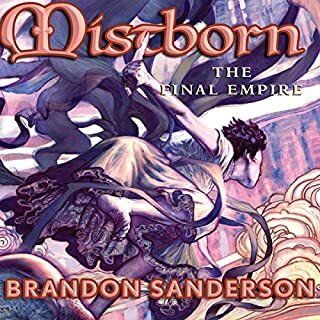 This was my first exposure to the controversial historian, David Barton, I was very impressed by him and wish that Audible had more of his books for sale. I was kind of annoyed how the narrators changed all the time. Sometimes a character would be voiced by the main narrator, and then sometimes the character would be voiced by a completely different person. It made is hard to keep track of what was going on at some points. 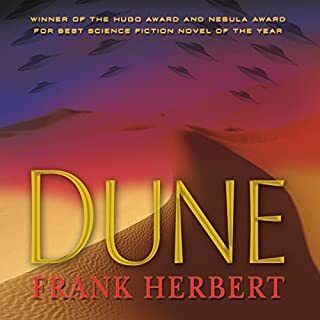 It isn't the best sci-fi book ever written (that is Ender's Game), but it was a good listen and I do not regret using a credit on this book. What did you like best about The Curious Incident of the Dog in the Night-Time? What did you like least? I liked the story and do not regret buying this book. I just feel like the author was pushing his beliefs through the kid in the story. The foreshadowing was pretty obvious and I was never really shocked when the surprises were revealed. 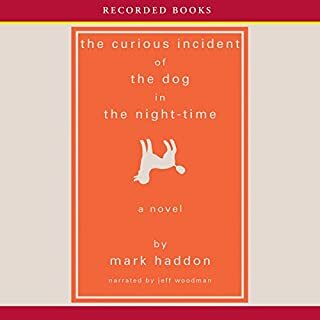 Would you recommend The Curious Incident of the Dog in the Night-Time to your friends? Why or why not? probably not, i would rather have them speak to a person with Autism. He is a great narrator. This was an amazing book. I usually prefer casual books, that don't require much thought, but are rather read for entertainment purposes. 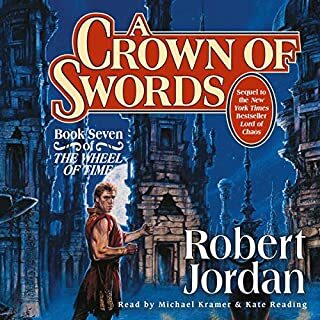 I don't know why exactly I picked this book, other than the fact that I loved the narrator, George Guidall's work on other books and the book was on sale when I purchased it. I won't spoil anyone with plot details, but the book made me a better person. Seeing the change in some of the main characters caused me to be a more charitable person and since reading this book I have started to make plans to bring joy to people's life this Christmas (2012). 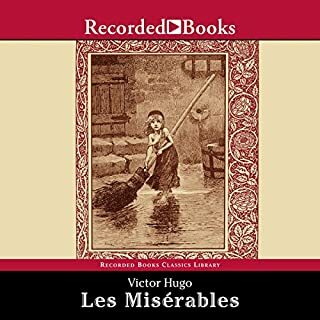 I praise God for Victor Hugo and the talent that was bestowed upon him. Everything about this book was great. I am a much better person after listening to this recording.